NUBY Toothbrush Massager | Green | Unique texture design provide your little one soothing and comfort little gums. Keep your little one at ease during his teething phase by getting this soft teether. 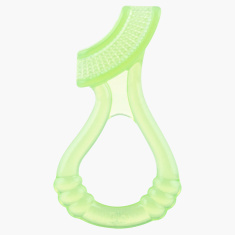 Designed to provide comfort to your little one's gums, this teether comes with a soft handle that lends a good grip.